Today was a mix of sweet, tasty flavors in a light-hearted setting and heart rending emotion as we visited homes for young children. Breakfast was French Toast, eggs, and fruit; delicious as all our meals have been. 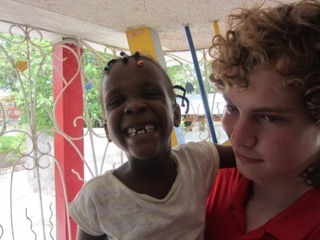 Thank you so much Healing Haiti Staff! 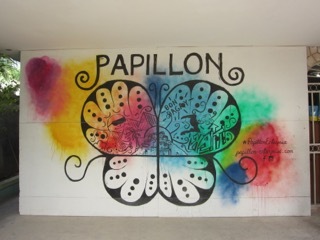 It started at Papillon, a job creation ministry for local Haitians. We enjoyed frozen lemonade, berry slushies, chicken nuggets, and pizza from their gift shop and lounge. The lounge is located on the top of the gift shop and has a wonderful view of that part of the city. 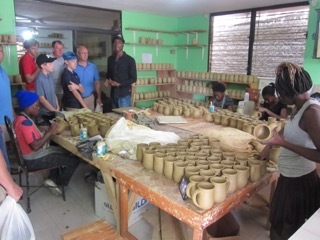 Afterward, we enjoyed a tour of the factory were local workers recycle materials (cereal boxes, glass bottles) and raw materials (clay) into creations of beauty. 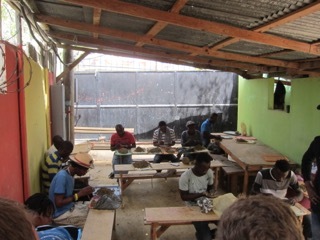 Employing over 250 people, they make necklaces, bracelets, pottery (coffee mugs), hand bags, dolls, and many other items. 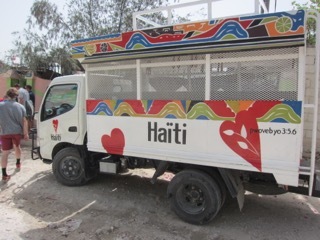 Most of these things are imported to the USA for sale, supporting Haitian families and keeping young children with their parents by providing steady income to each household. 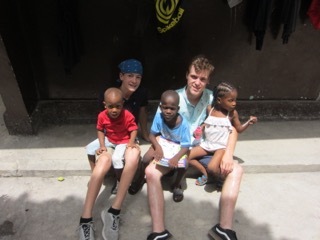 We were the first tour group led by young man who learned English as a young boy and then learned French when older (the reverse sequence for most Haitians). His English is excellent and he is clearly very proud of the work they are doing. He was very humble and modest but did a fantastic job. 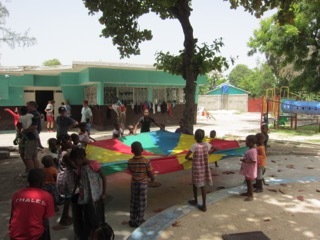 Next was an orphanage, “For His Glory” where we played with children. Jump rope, spike ball, Frisbee, basketball, soccer, and bubbles were just some of the activities. The joy on the faces of the children was infectious. There seemed to be something for everyone and no end to the little hands pulling on us (and our hair) or pointing to an object trying to communicate their desire. While there is a language barrier, it didn’t impede the fun. The next stop wasn’t to start until later in the day, so we traveled back to the Guest House for a bit of down time. I slept as did several other fathers. 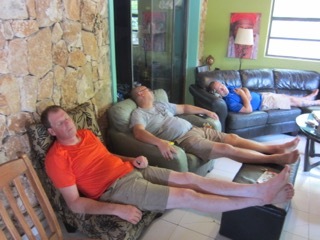 The boys didn’t seem to need the sleep. Several games of KanJam kept them busy even though it was the hottest part of the day. The last stop was to Home for Sick and Dying Children. The name alone makes one feel uneasy. Many in our group entered with a mindset against holding sick children but within minutes couldn’t resist. We had the opportunity to feed babies, to hold, and to play with them. The occasional smile on their faces warmed our hearts. The most difficult part was leaving; having to put a child down in a crib and “say” goodbye, them not understanding but yearning for more affection.